Most of Trautman Arbor Care’s work takes place in central Pennsylvania, but owner Mark Trautman knows what it’s like to travel for work. Over the past several years, he has taken his services to the areas where they’re needed most, including a 9/11 crash site and a hurricane-battered coast. This fall, he’ll travel again, swapping his arborist’s tools for a bicycle. Prior to starting his own business near State College, Pennsylvania, Trautman, a certified arborist, served as an arborist for Pennsylvania State University, his alma mater. He’s never really left the Penn State community, behind, as his local tree care company now services much of the surrounding area. Trautman Arbor Care has an A+ rating from the Better Business Bureau and provides pest management, tree removal, landscape design and more to its network of customers. On September 13, 2001, Trautman’s job was unlike any other. He traveled down to the field near Shanksville, in southern Pennsylvania, where Flight 93 crashed on 9/11. As he recounted to an oral historian in 2006, “It was a bad situation.” Trautman helped investigators collect and recover all of Flight 93’s wreckage, including parts of the plane that were suspended in trees. Ten years later, in 2011, Trautman headed to the eastern part of the state to help cleanup efforts after Hurricane Irene. Irene caused widespread flooding, power outages and tree damage throughout the coastal northeast. Trautman worked with other arborists at Longwood Gardens, a botanical garden in Kennett Square, where at least 10 trees had to be removed after the powerful storm. In October, Trautman’s commitment to the tree care industry will take him beyond the state entirely. 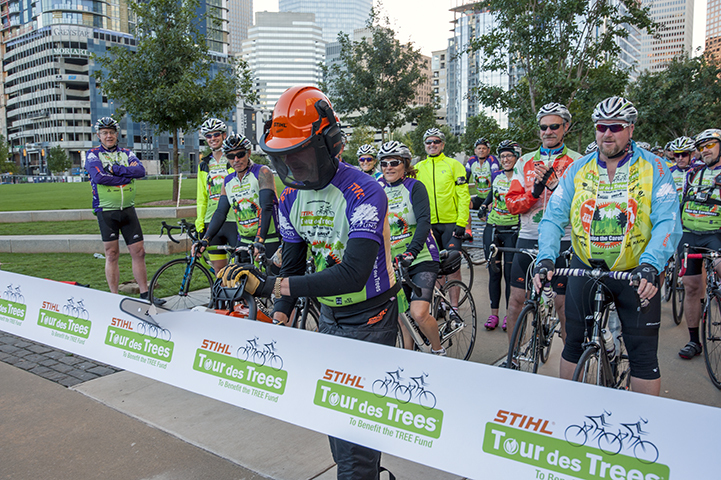 He’ll ride in the STIHL Tour des Trees, a 500- to 600-mile cycling adventure that benefits the Tree Research and Education Endowment (TREE) Fund. This year’s Tour des Trees route winds through North and South Carolina. 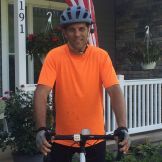 “Being able to give back to your profession for the future good is a true gift for all involved,” Trautman says of his participation in the Tour des Trees. Whether it’s at home, across the state or beyond, Trautman takes care of trees and gives back to his industry. For more information about Trautman Arbor Care, visit www.trautmanarborcare.com. Read more about community support, Indie Acts of Kindness, STIHL Tour des Trees.